The prototyping platforms we built during the development stages of the project. Me and Paul got to build the Monolith with the crew from Tested, who documented the assembly process for us. 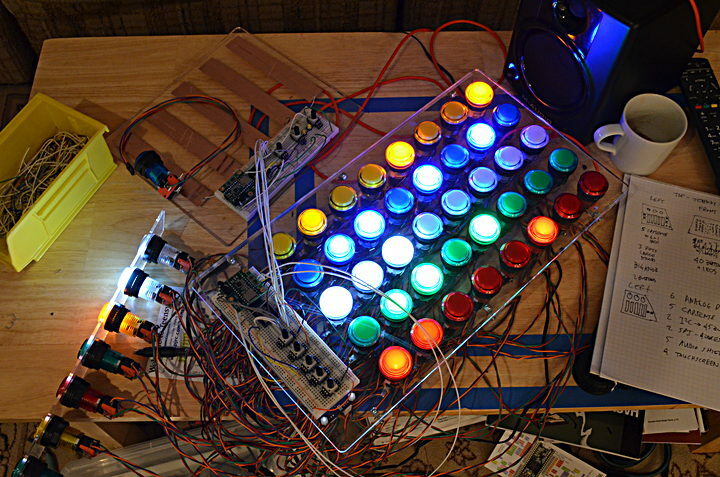 Everyone had a great time playing with the synthesizer, especially the kids. 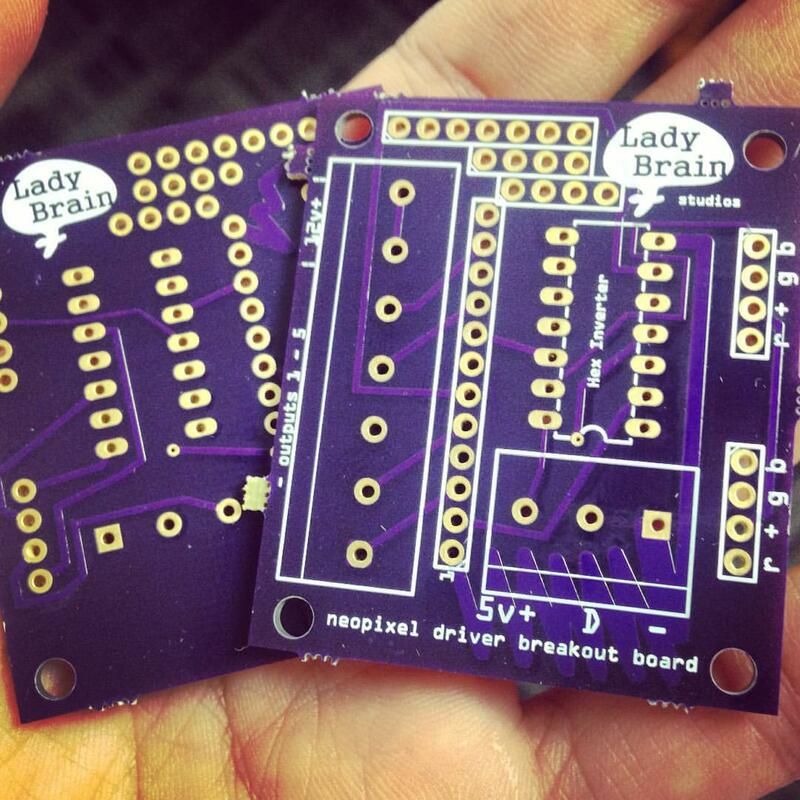 Images of the handouts for the project available during the Maker Faire. The Universal Death Sound and Light cube was an ongoing interactive sound sculpture series in collaboration with LadyBrain Studios and Wayne Coyne of the Flaming Lips. 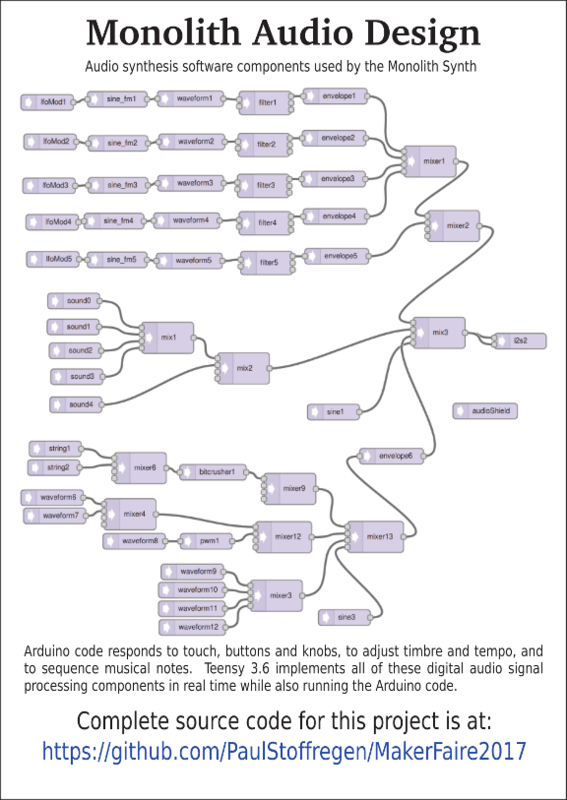 The Universal Death Sound and Light Cubes use the Teensy Audio Library to dynamically trigger lighting channels based off of FFT analysis of the sound files being played from an SD card. 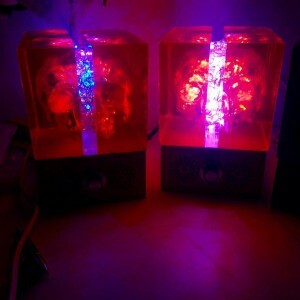 It has a simple switch for cycling through songs and can be left playing indefinitely. 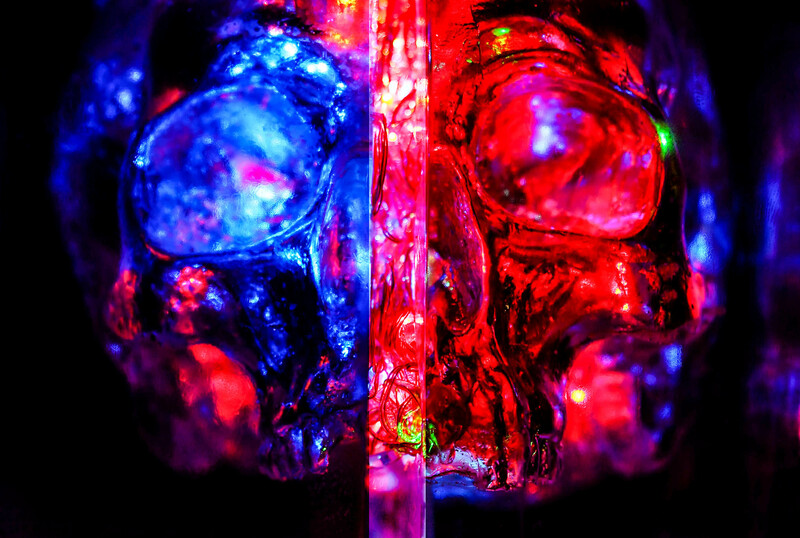 Freshly cast clear resin skulls for brains v.1 and v.2. 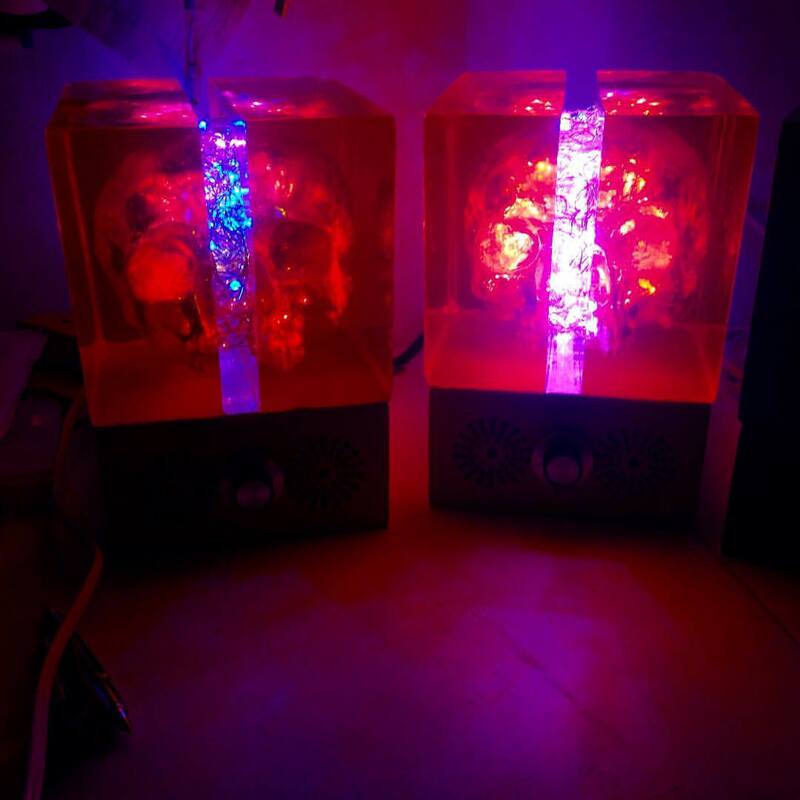 Demo video of our first Universal Death brain build. 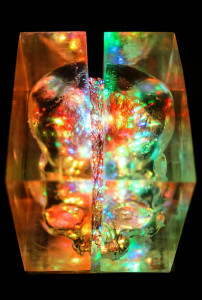 The Universal Death Light and Sound Cube is an ongoing sculpture series of interactive light sculptures, created by Wayne Coyne of the Flaming Lips, his friends at the Womb Gallery in Oklahoma City, and LadyBrain Studios. Coyne approached Darcy Neal and Haley Moore of LadyBrain Studios originally to add a sound element his brain sculpture and to assemble it as a standalone unit. 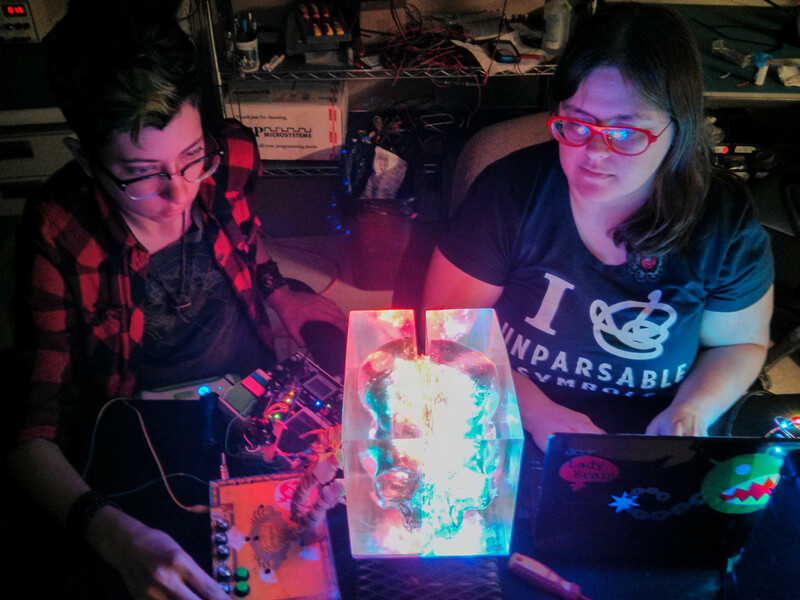 The LadyBrains team quickly got to work, and installed an analog sound circuit that reacted dynamically to the light levels of the brain, and also wired the lights to a microcontroller so that they were able to trigger sections of the brain as desired. 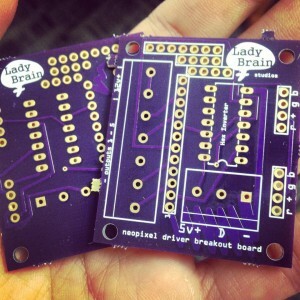 Coyne gave the LadyBrains team the opportunity to create a customized brain based off of ideas that they collaborated on. 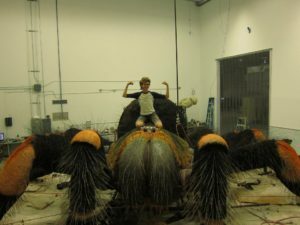 The next brain they built, (V.2) was built customized to the ideas discussed between Wayne Coyne and LadyBrain Studios. The new v.2 of the Universal Death Sculpture was custom built so that the the lighting reacted dynamically to the sounds that were being played through the brain via FFT analysis. 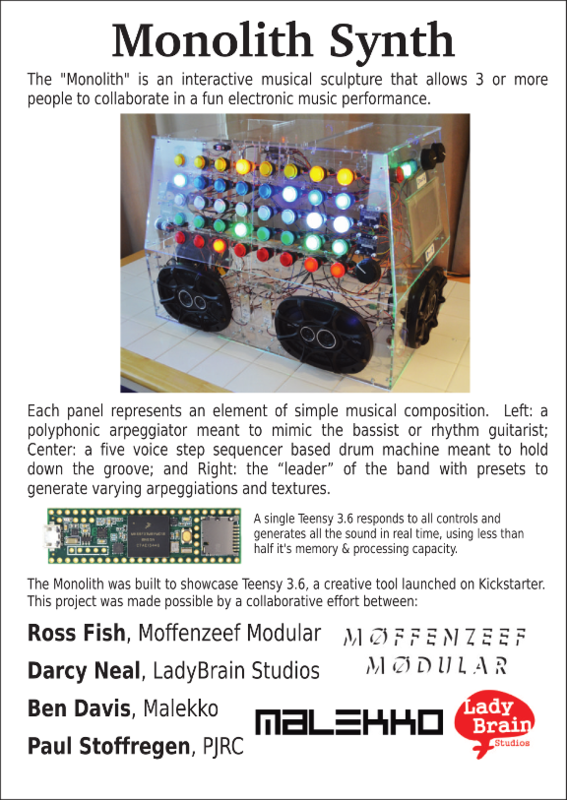 The sculpture was built to be a standalone unit that was controlled by a Teensy 3.1 and a Teensy Audio Adapter Board. 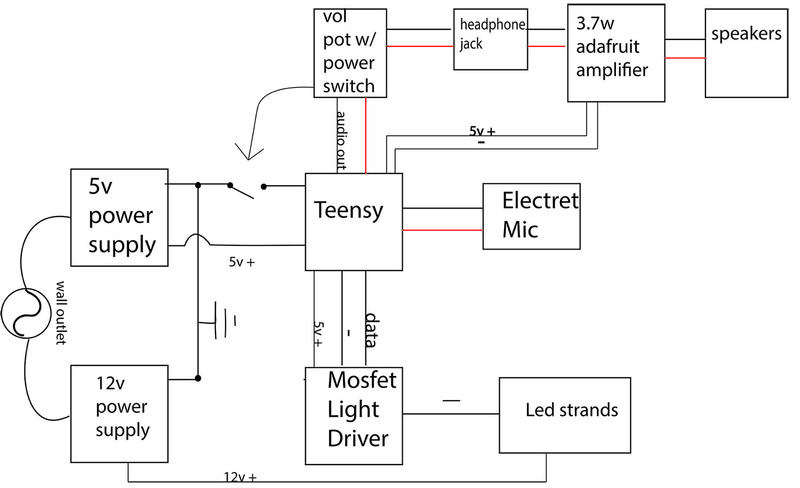 Using FFT analysis, they began to trigger the lights based off of the frequencies heard within the songs, which were stored on an SD card connected to the Teensy microcontroller. 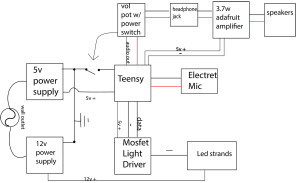 They also created a Neopixel driver breakout board, that used Neopixel data to trigger high power transistors, so that they could use the same FFT code and neopixel logic to control much brighter, more powerful LED installations. 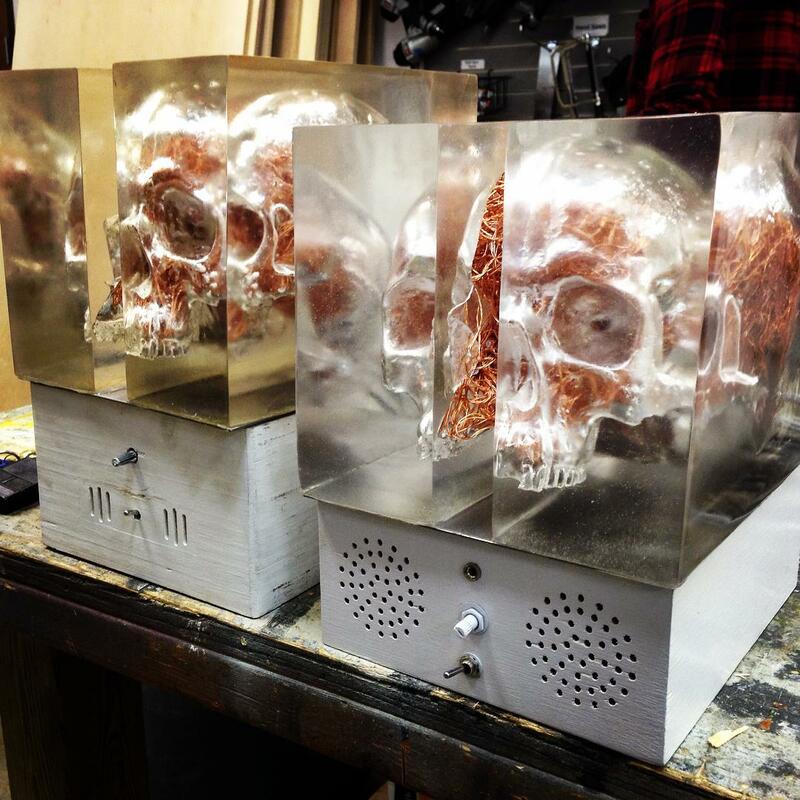 The enclosures for the brains were created using CNC technology and the silicone mold was created at the Dallas Makerspace, so that we were able to get exact replicas of the brain sculptures for future production. There have been 7 brains produced so far, and there are new designs in the works utilizing WS2812 RGB LED’s and a Raspberry Pi to do low resolution video playback across the surface of the brain. 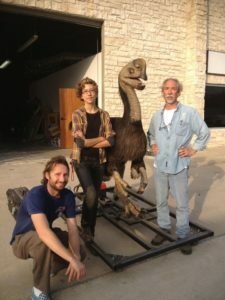 Before co-founding LadyBrain Studios, Darcy Neal worked as a production artist for studios specializing in large-scale oddities and animatronic sculptures. 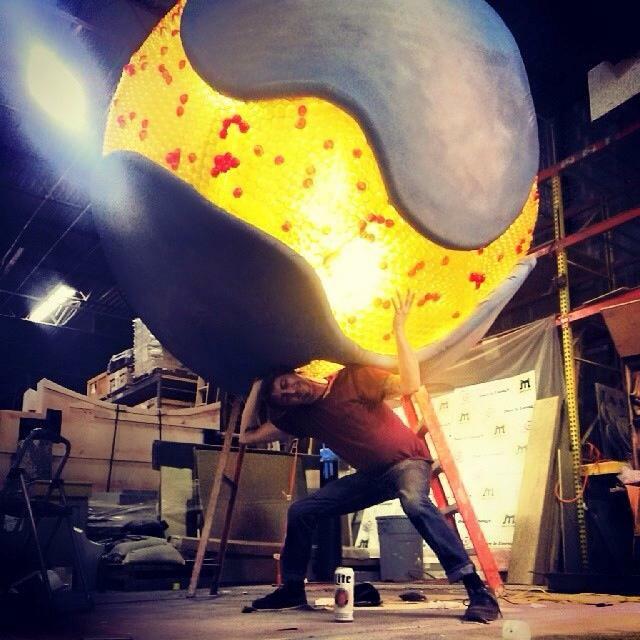 The sphere was created using vacuum-formed plastic that was formed over custom CNC portions of the sphere. The project was then installed with LEDs and other surface treatments to make the structure look like a giant molecule for a trade show display. 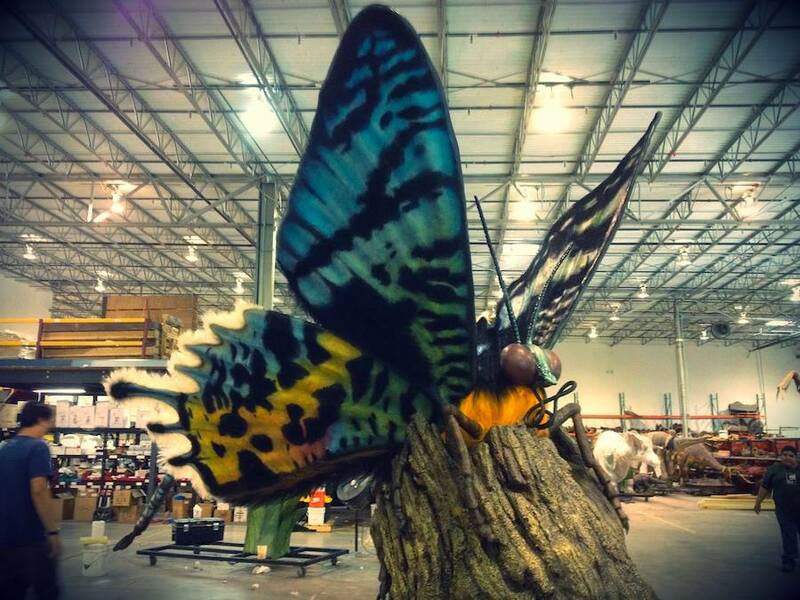 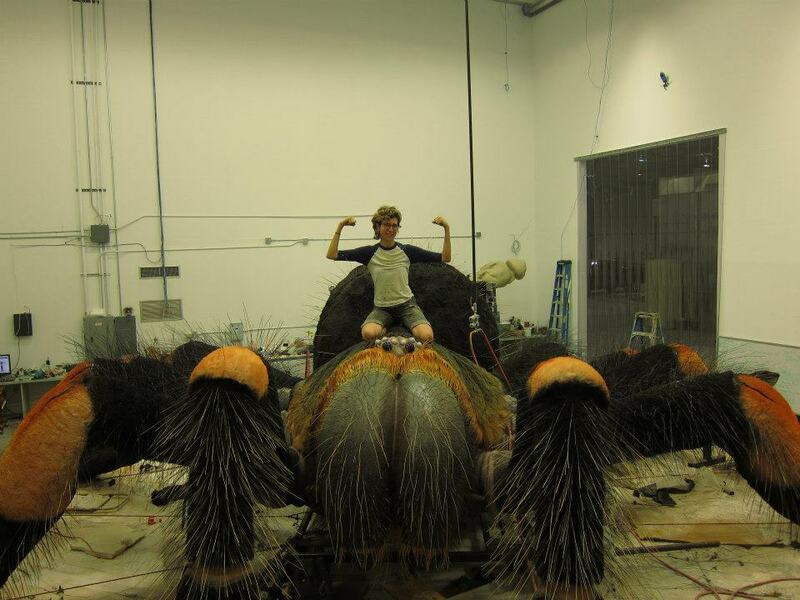 This is an example of a few of the projects that Darcy worked on when she worked at Billings Company, which is a company that specializes in lifesize animatronic dinosaurs and larger-than life insects. 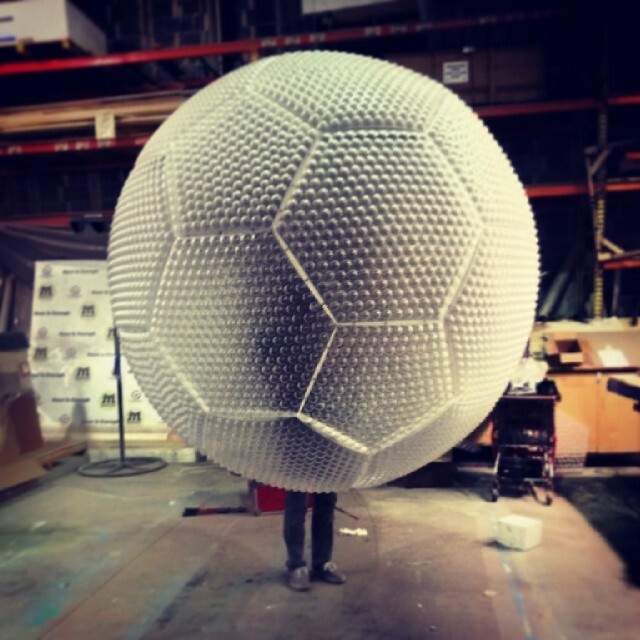 These are examples of some of the surface treatments she developed, which were built to be weather-resistant and durable for outdoor exhibition display.